Toronto (Golf Canada) – Golf Canada is pleased to announce that Bill Klein of Parkville, B.C. along with George McLeod of Brandon, Man. have been named co-recipients of Golf Canada’s 2016 Volunteer of the Year. 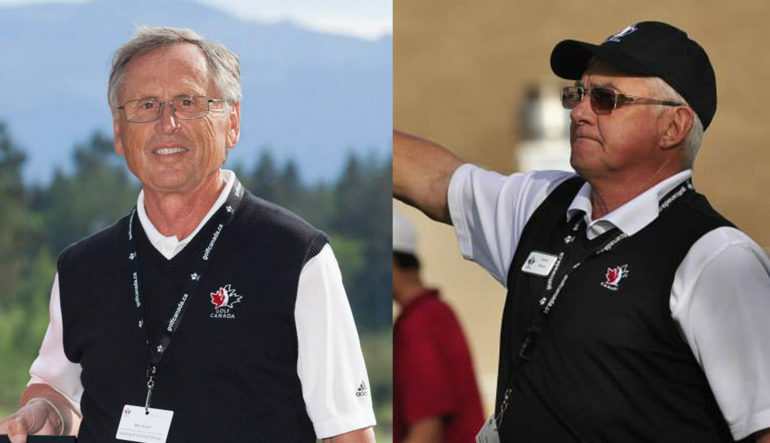 The pair will be acknowledged during the closing dinner of Golf Canada’s 2017 Annual General Meeting on Saturday, February 25th at the Crowne Plaza Toronto Airport Hotel. Each year in Canada, tens of thousands of committed volunteers help to support the game of golf in communities from coast to coast. 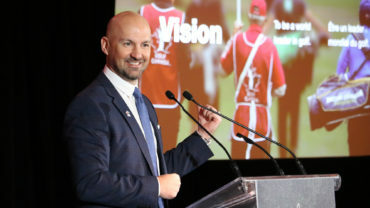 Now in its 11th year, candidates for Golf Canada’s Volunteer of the Year Award are put forth for consideration by the respective provincial golf associations in acknowledgment of significant contributions to the game of golf in their community. BILL KLEIN – Parksville, B.C. Bill Klein of Parksville, B.C. has been a volunteer with Golf Canada for more than 20 years. He originally got involved with the organization while living in Saskatchewan, during a period with Golf Saskatchewan the included successive terms as the President of Golf Saskatchewan in 1995 and 1996. He continued to volunteer in golf after moving from Saskatchewan to Parkville, B.C. Although he enjoys living on Vancouver Island, the former police officer is fiercely proud of his roots in Regina, Sask. 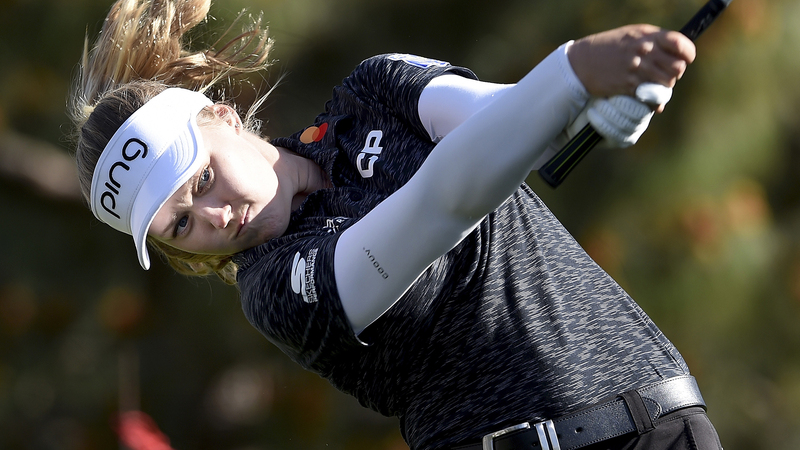 A former governor with Golf Canada and past Board member with BC Golf, Klein has been a strong supporter of Canadian golf and mainstay on Golf Canada’s championship duty roster—often serving as Tournament Chair—whenever events are conducted on Vancouver Island. He has a positive influence on his fellow volunteers and is tremendously popular among the players and guests at championships. Klein also makes it a point to thank all the event volunteers and club staff, and goes out of his way to make sure players enjoy their championship experience. After fighting a devastating bought of cancer two years ago, he remains a passionate supporter of the game. He served as both Tournament Chair and member of the host club committee for the 2016 Canadian University/College Championship. That event that marked the eighth time since 2010 that he served as Tournament Chair for a Golf Canada Championship on Vancouver Island including the Canadian Men’s Amateur (2013); the Canadian Women’s Amateur (2011); the Canadian University/College Championship (2012 & 2016); the Future Links Pacific Championship (2012 & 2015); the Canadian Women’s Tour (2014); and the Canadian Women’s Senior (2010). 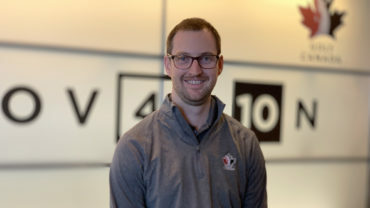 In addition to championships, Klein has served on numerous other committees during his volunteer tenure with Golf Canada, BC Golf and Golf Saskatchewan. His passion and enthusiasm exemplify the spirit of volunteerism that drives the game of golf in communities across Canada. GEORGE MCLEOD – Brandon, Man. George McLeod of Brandon, Man. began volunteering in the 1980’s as a Rural Representative for the Wheat City Golf Club with the Manitoba Golf Association (MGA). He was then nominated and elected to the Board of the Manitoba Golf Association in 1985. During his 20 year tenure on the Board, he volunteered on nearly every MGA committee and eventually served as President from 2002 through 2004. He was the last President of the MGA and the first President of the amalgamated Golf Manitoba. He was also instrumental in the formation and inauguration of the Manitoba Golf Hall of Fame and Museum. Nationally, he served with Golf Canada as Manitoba’s Class “C” Governor for 10 years. He assisted with the association’s amalgamation with the former Canadian Ladies Golf Association (CLGA) and served on numerous committees over his 10 years as a Governor. Following Golf Canada’s governance change in 2011, he became a member of the association’s Governors Council, served on the Membership Committee and was Chair of the Canadian Turf Grass Research Foundation until 2015. 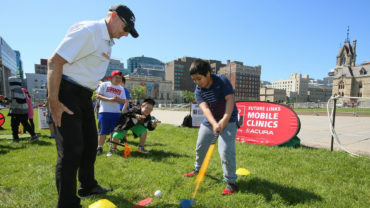 For more than 30 years, McLeod has been a Rules Official, Course Rater, Starter, Scorer and Tournament Chair with both Golf Manitoba and Golf Canada. In 2016, he was honoured as the recipient of Golf Manitoba’s Volunteer Distinguished Service Award for his long tenured service to both Golf Manitoba and the Manitoba Ladies Golf Association and his commitment to amateur golf in Manitoba and North West Manitoba. He has gone above and beyond the expectations of a volunteer, has been an advocate for the game and has been a positive influence on his many fellow volunteers.